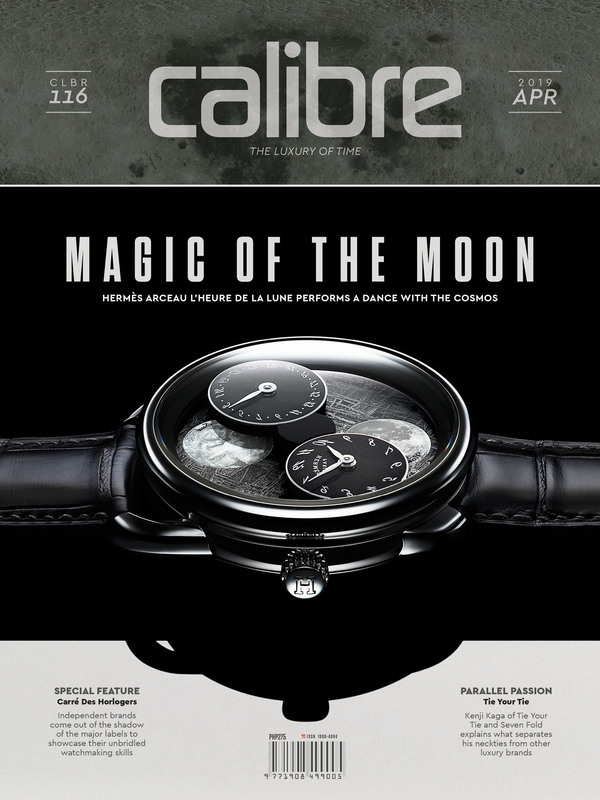 Calibre Magazine is the Philippines’ premier watch magazine, combining a true believer’s love of the field of horology with an experienced and educated view of timepieces worldwide. The staff travels the world, attending the watch industry’s major annual gatherings plus numerous individual brand events. Their associations with watchmakers, with regional distributors and boutique owners, with watch collectors and aficionados of every stripe and level, allow them to see the world of horology with an unusual perspective that incorporates both the larger global context and the individual personal experience, and everything in between. 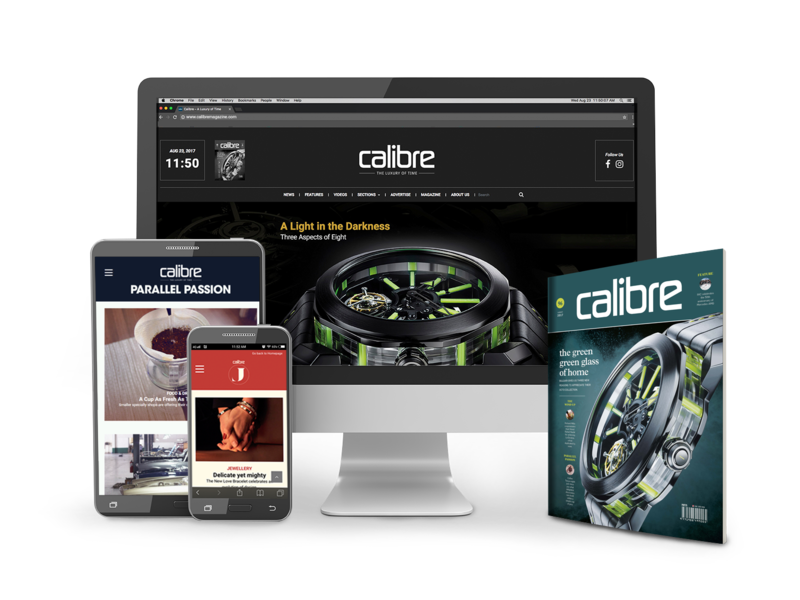 Calibre maintains a presence in the online world and in hard copy print, maintaining and always improving a standard of quality that allows us to portray the watches we cover, and our own thoughts and impressions of them, in the top-level way that they merit. We not only show you the watches we see and the events that we cover, but we assess them as well, providing a level of insight into the industry as well as the individual. Whether we are discussing a new watch collection, analyzing a brand’s presentation, or simply telling the story of the man who puts the gears inside the cases, we take a good look around at all there is to see, and we tell you what we think. Although we keep our eyes open to all the developments in the horology field, our connections with the Philippine collector’s identity run deep, and we have done much to maintain and indeed expand the local watch culture’s community. Calibre not only attends events that foster the community’s depth and breadth, it also creates them. Watchmaking seminars, launch parties, and boutique-centered gatherings all help to keep the lines of communication and community open among those who make watches, those who distribute them, and those who buy them — and most importantly, among those who love them. Which in the end is all of us, really. With Calibre, you not only have a focus for the watch community, and a gloss-paper volume of the industry’s latest developments and insights, you also have a team of staffers whose love for the horological field casts its eyes very far abroad, and often very deep within. We have contributors who love a single brand to exclusion, and we have editors who travel far and wide seeing all the things that the industry has to offer. From the oldest Swiss traditions to the newest cutting-edge Japanese technology, from the sound of music in a minute repeater to the feel of the strap against your wrist, Calibre will tell you all there is to know, and will provide a companion with valuable insights as you journey down this road, whether you are continuing a thousand-mile-journey or just taking your first new steps. Welcome to Calibre. Where you always have the luxury of time. A subscription to Calibre Magazine is a link to the Philippines’ premier watch-focused publication, combining a true believer’s love of the field of horology with an experienced and educated view of timepieces worldwide. The staff travels the world, attending the watch industry’s major annual gatherings plus numerous individual brand events. Their associations with watchmakers, with regional distributors and boutique owners, with watch collectors and aficionados of every stripe and level, allow them to see the world of horology with an unusual perspective that incorporates both the larger global context and the individual personal experience, and everything in between. All of this is wrapped up in a single high-quality monthly volume that carries the world of horology straight to your hands. With accomplishments come rewards. Allow us to introduce your concierge to the good life, your guide to intelligent spending. By advertising in CALIBRE Magazine and website, you are putting your products on display in a beautifully-constructed print and digital platforms. While it is known to be the Philippines’ premier watch-centered publication group, Calibre is also the gateway to the good life’s many pursuits. Jewelry, travel, the arts, food and wine, fashion, technology — if its luxury, Calibre points the way. The Calibre team travels the world, attending the watch industry’s major annual gatherings, plus numerous individual brand events. Their associations with watchmakers, regional distributors and boutique owners, with watch enthusiasts, collectors, and general buyers of every stripe and level, allow them to see the world of finely crafted lifestyle with an unusual perspective that incorporates both the larger global context and the individual personal experience, and everything in between. C! Publishing and Media Group, Inc.
1. Acknowledgment and acceptance of terms of service: calibremagazine.com, owned and operated by C! Publishing and Media Group, Inc., is provided to you (“user”) under the terms and conditions of this terms of service (TOS) and any operating rules or policies that may be published by calibremagazine.com. The TOS comprises the entire agreement between user and calibremagazine.com and supersedes all prior agreements between the parties regarding the subject matter contained herein. By completing the registration process or using any service of calibremagazine.com, you are indicating your agreement to be bound by all of the terms and conditions of the TOS. 2. Description of service: calibremagazine.com provides user with various publishing and community services, including but not limited to the capability to post information to a web page and participate in web-based discussions. Some of these services will be free of charge, others may cost money or have other requirements. The requirements or fees for any service or option will be clearly explained and separately agreed to when user implements those options, if any. User must: (1) provide all equipment, including a computer and modem, necessary to establish a connection to the World Wide Web; (2) provide for own access to the World Wide Web and pay any telephone service fees associated with such access. 3. Modifications to terms of service: calibremagazine.com may change the terms and conditions of the TOS from time to time. Upon major changes in the terms and conditions of the TOS, calibremagazine.com will notify you by posting the changes as a start-up screen prior to your subsequent use of the service. If you agree to be bound by the changes, you must again click the “I accept” button that will follow the posted changes. If you do not click the “I accept” button, you may terminate your use of the service at that time. Minor changes in the terms and conditions of the TOS will be posted to calibremagazine.com. User’s continued use of the service constitutes an affirmative: (1) acknowledgment by user of the TOS and TOS modifications; and (2) agreement by user to abide and be bound by the TOS and TOS modifications. 4. Modifications to service: calibremagazine.com reserves the right to modify or discontinue the service with or without notice to user. Calibremagazine.com shall not be liable to user or any third party should calibremagazine.com exercise TOS right to modify or discontinue the service. 5. Identity disclosure policy: user expressly declares that all identification details entered and made available through his user profile are true and correct. It is calibremagazine.com’s policy to facilitate genuine, civilized and responsible discourse by requiring every user to publicly, truthfully and completely declare their identity. User expressly declares that all identification details entered and made available through his user profile are true and correct. calibremagazine.com may disclose all identification details of user to other users of calibremagazine.com. 6A. Content ownership: unless stated otherwise for specific services, user will retain copyright ownership and all related rights for information he or she publishes through calibremagazine.com or otherwise enters into calibremagazine.com related services. 6B. Content responsibility: user acknowledges and agrees that calibremagazine.com neither endorses the contents of any user communications nor assumes responsibility for any threatening, libelous, obscene, harassing or offensive material contained therein, any infringement of third party intellectual property rights arising therefrom or any crime facilitated thereby. 7. User account, password, and security: once you become a user of the service, you shall receive a password and an account. You are entirely responsible if you do not maintain the confidentiality of your password and account. Furthermore, you are entirely responsible for any and all activities which occur under your account. You may change your password at any time. User agrees to immediately notify calibremagazine.com of any unauthorized use of user’s account or any other breach of security known to user. 8. Disclaimer of warranties: user expressly agrees that use of the service is at user’s sole risk. The service is provided on an “as is” and “as available” basis. calibremagazine.com expressly disclaims all warranties of any kind, whether express or implied, including, but not limited to the implied warranties of merchantability, fitness for a particular purpose and non-infringement. calibremagazine.com makes no warranty that the service will meet your requirements, or that the service will be uninterrupted, timely, secure, or error free; nor does it make any warranty as to the results that may be obtained from the use of the service or as to the accuracy or reliability of any information obtained through the service or that defects in the software will be corrected. User understands and agrees that any material and/or data downloaded or otherwise obtained through the use of the service is done at user’s own discretion and risk and that user will be solely responsible for any damage to user’s computer system or loss of data that results from the download of such material and/or data. calibremagazine.com makes no warranty regarding any goods or services purchased or obtained through the service or any transactions entered into through the service. 9. Limitation of liability: calibremagazine.com shall not be liable for any direct, indirect, incidental, special or consequential damages, resulting from the use or the inability to use the service or for cost of procurement of substitute goods and services or resulting from any goods or services purchase or obtained or messages received or transactions entered into through the service or resulting from unauthorized access to or alteration of user’s transmissions or data, including but not limited to, damages for loss of profits, use, data or other intangible, even if has been advised of the possibility of such damages. 10. No resale of the service: user agrees not to resell the service, without the express consent of calibremagazine.com. 11. Storage and other limitations: calibremagazine.com assumes no responsibility for the deletion or failure to store information entered into calibremagazine.com. calibremagazine.com has set no fixed upper limit on the number or posts user may send or receive through the service or the amount of storage space used; however, calibremagazine.com retains the right, at calibremagazine.com’s sole discretion, to determine whether or not user’s conduct is consistent with the letter and spirit of the TOS and may terminate service if a user’s conduct is found to be inconsistent with the TOS. 12. User conduct: user is solely responsible for the contents of his or her transmissions through the service. User’s use of the service is subject to all applicable local, state, national and international laws and regulations. User agrees: (1) to comply with us law regarding the transmission of technical data exported from the united states through the service; (2) not to use the service for illegal purposes; (3) not to interfere or disrupt networks connected to the service; and (4) to comply with all regulations, policies and procedures of networks connected to the service. The service makes use of the internet to send and receive certain messages; therefore, user’s conduct is subject to internet regulations, policies and procedures. User will not use the service for chain letters, junk mail, spamming or any use of distribution lists to any person who has not given specific permission to be included in such a process. User shall not interfere with another user’s use and enjoyment of the service or another entity’s use and enjoyment of similar services. calibremagazine.com may, at its sole discretion, immediately terminate service should user’s conduct fail to conform with these terms and conditions of the TOS. 13. Indemnification: user agrees to indemnify and hold calibremagazine.com, parents, subsidiaries, affiliates, officers and employees, harmless from any claim or demand, including reasonable attorneys’ fees, made by any third party due to or arising out of user’s use of the service, the violation of this TOS by user, or the infringement by user, or other user of the service using user’s computer, of any intellectual property or other right of any person or entity. 14. Termination: either user or calibremagazine.com may terminate the service with or without cause at any time and effective immediately. calibremagazine.com shall not be liable to user or any third party for termination of service. Should user object to any terms and conditions of the TOS or any subsequent modifications thereto or become dissatisfied with the service in any way, user’s only recourse is to immediately discontinue use of the service. Upon termination of the service, user’s right to use the service and software immediately ceases. User shall have no right and calibremagazine.com will have no obligation thereafter to forward any unread or unsent messages to user or any third party. 15. Notice: all notices to a party shall be in writing and shall be made either via email or conventional mail. Calibremagazine.com may broadcast notices or messages through the service to inform user of changes to the TOS, the service, or other matters of importance; such broadcasts shall constitute notice to user. 16. Participation in promotions of advertisers: user may enter into correspondence with or participate in promotions of the advertisers showing their products on the service. Any such correspondence or promotions, including the delivery of and the payment for goods and services, and any other terms, conditions, warranties or representations associated with such correspondence or promotions, are solely between the corresponding user and the advertiser. calibremagazine.com assumes no liability, obligation or responsibility for any part of any such correspondence or promotion. 17. Proprietary rights to content: user acknowledges that content, including but not limited to text, software, music, sound, photographs, video, graphics or other material contained in either sponsor advertisements or email-distributed, commercially produced information presented to user by the service (“content”) by calibremagazine.com or calibremagazine.com’s advertisers, is protected by copyrights, trademarks, service marks, patents or other proprietary rights and laws; therefore, user is only permitted to use this content as expressly authorized by the service or the advertiser. User may not copy, reproduce, distribute, or create derivative works from this content without expressly being authorized to do so by the service or the advertiser. 18. Laws: the TOS shall be governed by and construed in accordance with the laws of the republic of the Philippines, the country of calibremagazine.com, excluding TOS conflict of law provisions. User and calibremagazine.com agree to submit to the exclusive jurisdiction of the courts of the republic of the Philippines. If any provision(s) of the TOS is held by a court of competent jurisdiction to be contrary to law, then such provision(s) shall be construed, as nearly as possible, to reflect the intentions of the parties with the other provisions remaining in full force and effect. Calibremagazine.com’s failure to exercise or enforce any right or provision of the TOS shall not constitute a waiver of such right or provision unless acknowledged and agreed to by calibremagazine.com in writing. User and calibremagazine.com agree that any cause of action arising out of or related to this service must commence within one (1) year after the cause of action arose; otherwise, such cause of action is permanently barred. The section titles in the TOS are solely used for the convenience of the parties and have no legal or contractual significance.